This new text is intended for courses in operations management and management science, with business statistics as a prerequisite. The authors offer practical approaches to managerial decision-making using spreadsheets and step-by-step instructions to present realistic operations management problems that reflect overall organizational issues and integrate other functional areas such as marketing and finance. 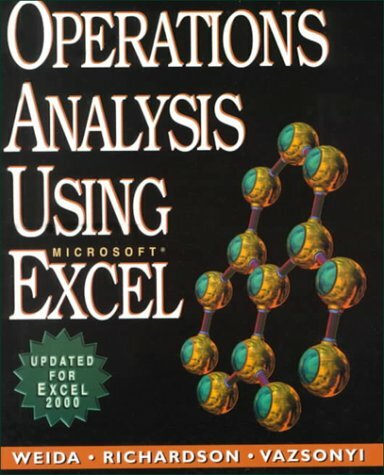 Perfect as a supplement to any operations management or management science text, students need only posses a familiarity with Microsoft Excel in order to learn both basic and advanced techniques. This text offers practical approaches to managerial decision making using spreadsheets. The operations management problems reflect overall organizational issues and integrate other functional areas such as marketing and finance. This book can accompany any operations management text and presupposes only a familiarity with Microsoft Excel to learn both basic and advanced techniques.